This was the source of some tribulation. 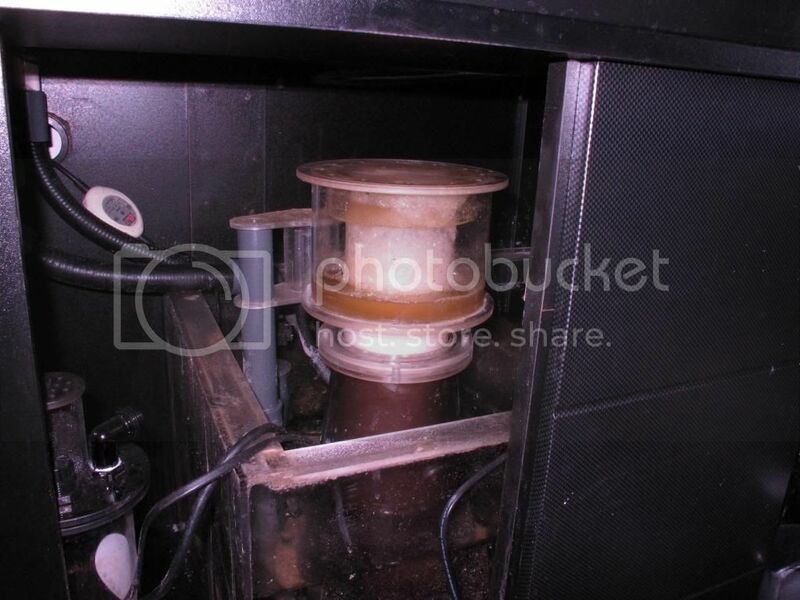 I originally had purchased a Vertex Omega 150 for this tank, however my 12" sump depth proved to be difficult. I solved this by going with a DIY Avast Pegleg skimmer. It runs recirculating and I would never go any other way now. Its fed by a 300gph eheim compact with the main recirc pump being a Sicce. I have a swabbie for it, as well as a skimmate locker but have not used either as of yet. Build on a trusty Tunze Ozmolator My current CAL/ALK needs are currently met with a AVAST K1 kalk reactor hooked up to the ATO. 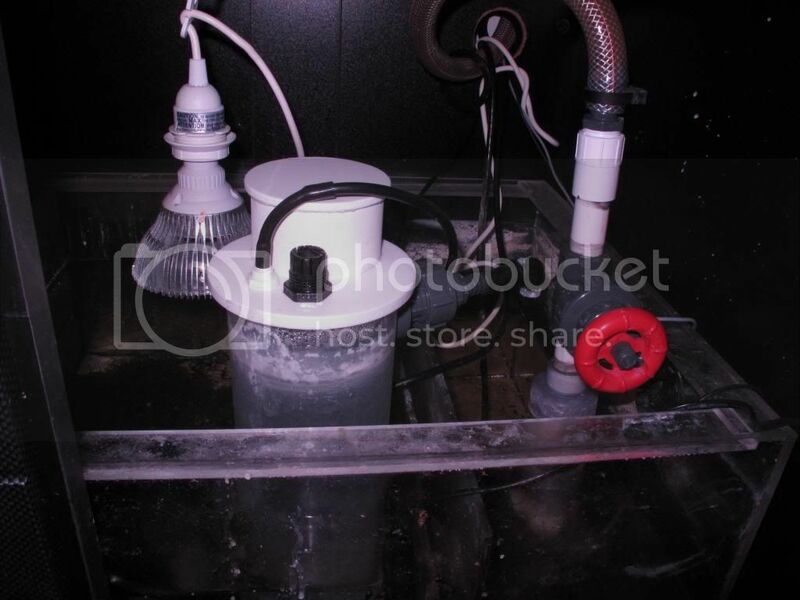 The ATO system is fed with RO/DI in a custom DIY 12 gallon resivoir. I also have a pair of AVAST dosing barrels with BRS 1.1ml/min dosing pumps for additional supplimentation. 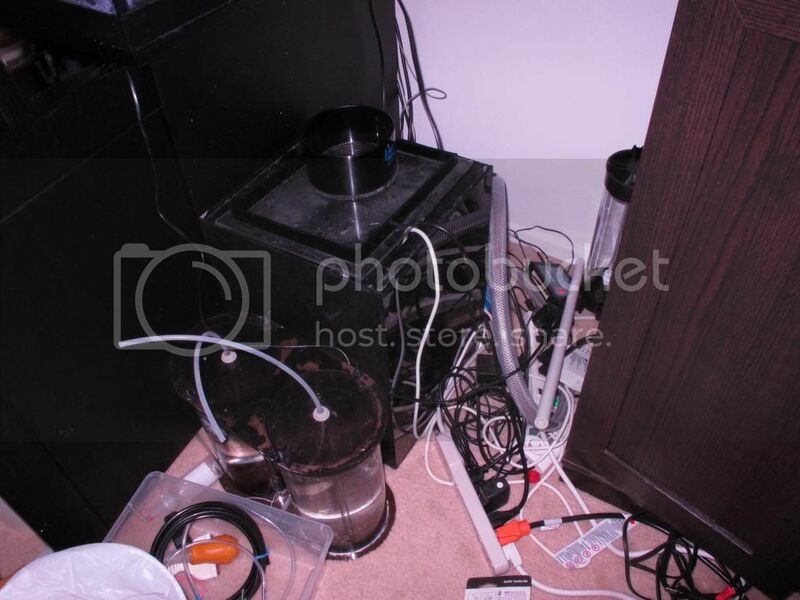 I have a dosing pump for mag as well but have never used it. You need to tidy up that corner!